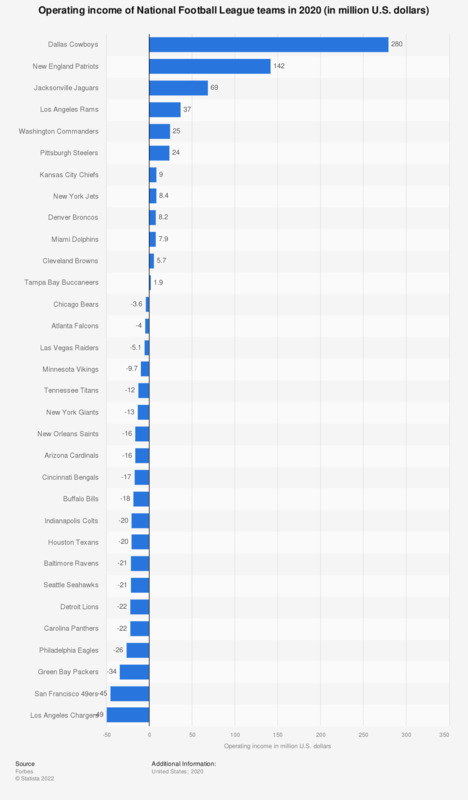 This graph depicts the operating income of all National Football League teams in the 2016 season. The operating income of the Detroit Lions franchise was 48 million U.S. dollars. Everything On "Minnesota Vikings" in One Document: Edited and Divided into Handy Chapters. Including Detailed References. Does your household subscribe to a premium sports package, for example NFL Sunday Ticket or NFL Redzone?